Beliefs affect how we feel, think and act. A positive, ‘can-do’ attitude builds an environment of hope and capability. A negative attitude has been linked to helplessness, anxiety and depression. Remember the Little Engine that Could? With his positive ‘I think I can, I think I can’, he overcame impossible odds to achieve success. My mother is a wise woman. Among the myriad sayings I grew up with was ‘If you think you can, or you think you can’t, you’re right’. Maybe she had learned that our beliefs can help or hinder what we can accomplish. Filled with negative thoughts, it’s unlikely that our motivation can carry us through difficult times. Filled with positives, we often find a ‘second wind’ to get to the finish line. A research study was conducted years ago that demonstrates how our emotional climate and beliefs can impact our behavior. The study looked at two factory rooms, both doing the same tasks. Researchers measured the workers’ productivity over a period of time under difficult circumstances – loud, jarring noise was being broadcast into the rooms! The only difference between the two rooms was that one had a button to push if the noise got to be ‘too much’. The other room did not have the button. Which room do you think was able to work more effectively? The room with the button produced much more than the other! Why would this be so? It comes back to what the workers were thinking. The people in the room without the button focused on the ‘I can’t take this anymore’ and gave up earlier. Believing that they had the power to stop the noise at any time if it got ‘too bad’, the workers in the button-equipped room were able to endure more. They believed they could keep going. The beliefs about the situation either strengthened or weakened the workers abilities. The Bible also talks about this truth. Romans 12 encourages us to be changed by the renewing of our mind. If we want our feelings and actions to change, we need to change how we think! For many of us, long-held negative beliefs are at the center of our distress. We are actually making the problem worse by our own thoughts. Do you need an attitude adjustment? Do you want to experience change by replacing the negative with positive beliefs? Everyone has something they would like to change, or goals they would like to achieve. Are your beliefs holding you back? Change is not only possible, but probable when you take the chance. 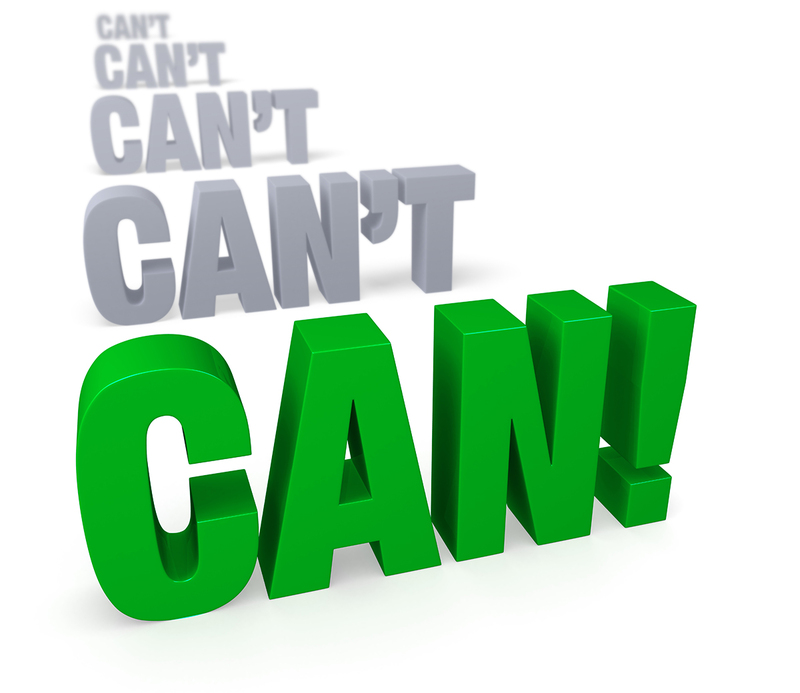 Whether through books, support groups, online resources, or professional assistance, it is possible to experience an improved life when you have an ‘I think I can’ attitude. “If you think you can, or you think you can’t, you’re right.” While Henry Ford is credited with this quote, I still like to think that my mother is truly that wise to know the power of beliefs.